How worried should I be about low back pain? Do not assume the worst. Almost everyone gets back pain at some point. Low back pain can be scary. But it is almost never serious. It usually goes away on its own. The cases that require surgery or urgent care are rare. Specialist Pain provides lower back pain treatment in Singapore?. What are the parts of the back? Vertebrae�� A stack of bones that sit on top of one another like a stack of quarters. Each of these bones has a hole in the center. When stacked, the bones form a hollow tube that protects the spinal cord. 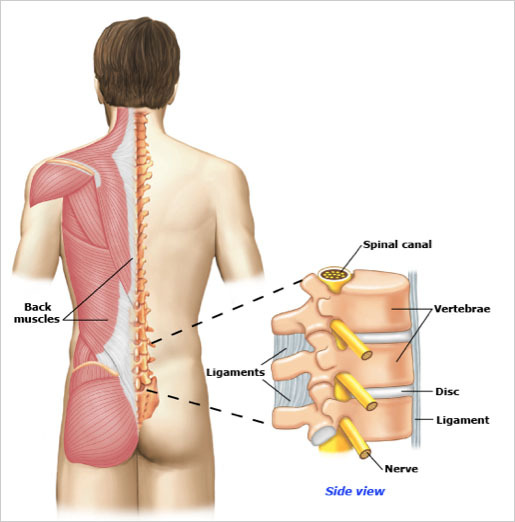 Discs�� Rubbery discs sit in between each of the vertebrae to add cushion and allow movement. Muscles, tendons, and ligaments�� Together the muscles, tendons, and ligaments are called the �soft tissues� of the back. These soft tissues support the back and help hold it together. In specific cases, one can also experience severe back pain after surgery. This is also known as the failed back surgery syndrome. Should I get an imaging test, like an MRI? Most people do not need an imaging test. Most cases of back pain go away within 4 to 6 weeks � or in even less time. Doctors usually do not order imaging tests before then unless there are signs of something unusual. If your doctor does not order an imaging test, do not worry. He can still learn a lot about your pain just from looking you over and talking with you. Plus, treatment can start right away, even without an imaging test. How can the doctor tell what is wrong just by talking to me? Your symptoms tell your doctor a lot about the cause of your pain. If your pain spreads down the back of one thigh, for instance, that could be a sign that one of the nerves that go to your leg is being pinched by a bulging or torn disc. If, on the other hand, your pain goes all the way down both legs, that could be a sign that you have bony growths on your spine. The best thing you can do is to stay as active as possible � even if you are in pain. People with low back pain recover faster if they stay active. Walk as much as you can. If you stopped working because of your pain, try to get back to your normal routine soon. But do not overdo it. When you start to feel better, ask your doctor about exercises that can help strengthen your back. These exercises can help you get better faster and may make it less likely that you will have pain again. What are some back pain remedies and treatments? Pain medicines that you can get without a prescription. If these do not work, doctors and nurses can prescribe stronger pain medicines. What can I do to keep from getting back pain again? Stay active and learn exercises that help strengthen and stretch your back. Learn to lift using your legs instead of your back. And avoid sitting or standing in the same position for too long. If you are seeking consultation for back pain or back pain treatment in Singapore, our specialists at SPI are more than happy to assist you.